The original Hot and Hot Fish Club was founded in the late 1700’s by the planters of All Saints Parish. The social club was dedicated to epicurean pursuits; gourmet food, strong drinks and festive times. The first club was said to be on Drunken Jack Island, located just a few miles south from here. Members of the original club described their past time spent on the island as the “happiest hours of their lives.” The Club was dismantled and finally laid to rest after the Civil War. An ever shifting sand bar off the coast of Huntington Beach State Park is all that remains of the original site. 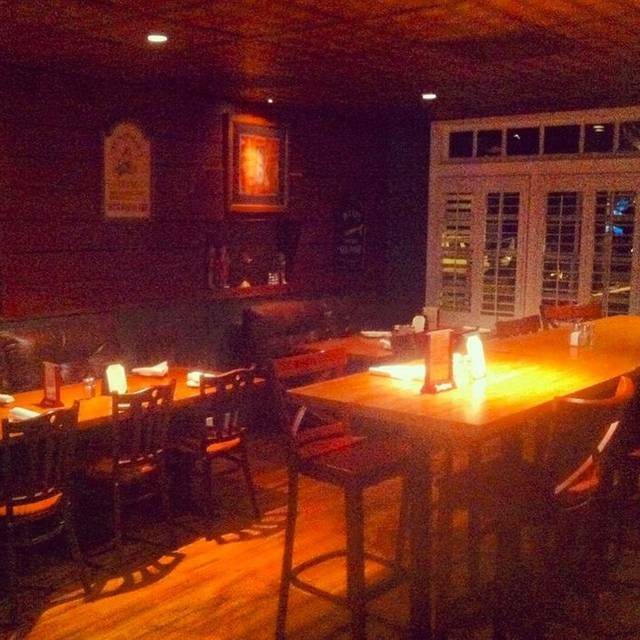 The Hot Fish Club today is located in the oldest existing restaurant building on the Grand Strand. Hot Fish Club remains a favorite gathering place today for discriminating locals and is open to everyone seeking Great Food, Great Drink, and Lively Conversation, in the spirit of those earlier revelers. We pride ourselves on our personal service and our desire to satisfy each guest. Food was delicious and fresh. Awesome, food!! Everything was terrific! We highly recommend this restaurant! As always everyone and everything was great! Hot Fish Club is our favorite!!!!! Hot Fish Club was excellent. We got there early for our reservation and was seated at at a table with a water view. It was beaytiful. The food was fresh and wonderfully prepared. The wait staff is friendly and efficient. It is a very busy place, even at 5pm. I recommend making reservations. We have been going to Hot Fish Club for years, even before it was so popular. Best food in the area. Great service , beautiful views and wonderful ambiance. A must go when we are in Myrtle Beach. Don’t miss it. Reservations allowed us to have immediate seating . Won me back as a patron. Food was excellent. Loved using the open table application. Nice views, good fresh seafood and friendly service with fair prices make for a win! Everyone at our table ordered a different seafood dinner, everyone raved about their selection. You can’t go wrong with any of their appetizers or dinners !!! Both the dining room and enclosed porch were very busy and LOUD.....no indoor voices here. We always get the steamer pot with crab and shrimp. The drawn butter was drawn oil/ margarine, which ruined the taste of the crab. I would have paid extra for butter. The seafood was well prepared but the noise and margarine issue may make me rethink whether we will go back. We tried their sister restaurant next door and were very happy. Since we can get the steamer pot there, we will probably patronize that restaurant instead. We have dine several times at Hot Fish Club always outstanding . This is my favorite restaurant in Myrtle Beach!!!! The Lobster Pot Pie and the Grouper are my favorites. 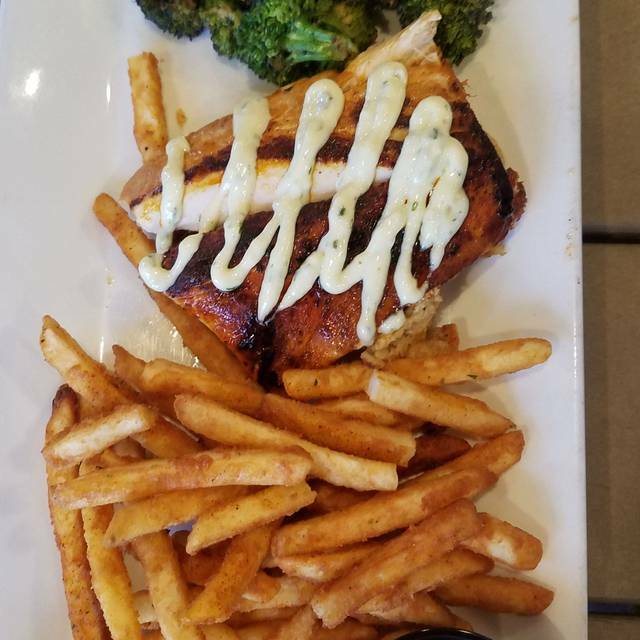 I recommend Hot Fish Club to my friends and riders (I am a driver for Uber and Lyft). The food & service were both excellent!! Great food, the best we seafood we had in the area. We actual returned for a second dinner. Service was great. A bit noisy at times. We intend to return there on our next visit. Food is fabulous. My #1 place to eat in area. We enjoyed Hot Fish Club twice on our two weeks vacation. One of our favorite restaurants. Food is always very good. Always take out of town friends their. OLD SEAFOOD STYLE. NOTHING FANCY,JUST BASIC. Service was very good. Great food and service. Highly recommended! Great food and service! And the view is amazing!! Make sure you hit the Gazebo bar after dinner (attached) for music and drinks!! So fun! Busy place. Reservations a necessity. We both enjoyed different appetizers & mains. Salmon & Low Country seafood bucket were outstanding. She-crab soup was delicious. We had not been to the Hot Fish Club for a few years. This visit was outstanding from start to finish. We were greeted by our waitress, Jordan, who was very helpful in entree selection. 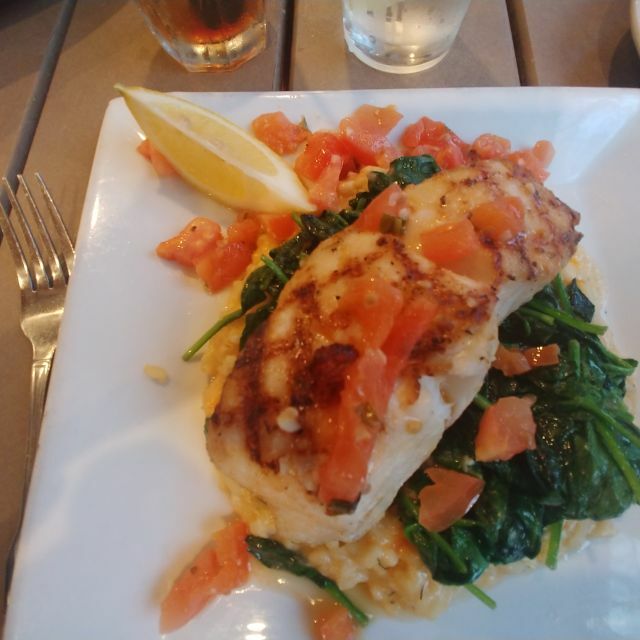 We decided on the Char-Grilled Grouper, Seafood Cioppino and the Lobster Pot Pie. All three dishes were fresh and well-prepared. Jordan was very attentive and made our dinner experience very enjoyable. Even though it is quite a drive from Little River, we will be returning soon. If you are looking for a great meal and a casual-friendly environment, the Hot Fish Club will not disappoint. By far the best food in Murrels Inlet. Only place I go. Great evening. Carly, our waitress, was pleseant and effecient. She knows her stuff. Food was wonderful, as usual. Lovely evening, celebrating a special event! After making an online reservation for Friday night for 6:15 pm I called back and asked if we could be seated on the back porch. I explained we were a party of 6 with 3 celebrating birthdays. They said they would be glad to accommodate us if we could come in at 6 pm. Everyone in our group thought their selection was outstanding. Being on the back porch which is a little quitter and had a great view of the inlet make the meal extra special. Hot Fish Club is our first choice when taking out guest. Great service and great food. We plan to visit again this weekend when our next group arrives. We (party of 6) were seated exactly at the time of our reservation - impressive start. The main dining room has a nice view of the marsh. But once the sun sets, it becomes a loud room where it's very hard to hear your table mates unless you are in a corner or you're a small party. Our server was wonderful and very attentive. 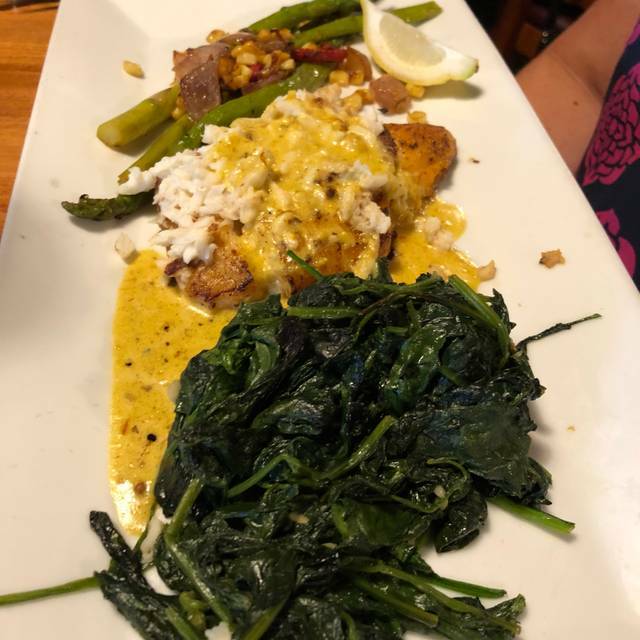 The snapper and shrimp and grits as well as the marinated sirloin were given high marks by our group; the lemongrass tuna was overworked. The sauce completely overpowered the fish. Would return during our next trip to the area but will avoid the tuna. Our second time at Hot Fish Club in several years. Loved being on the "back porch" this time. I had the grouper which is my fav fish in SC. It was a very sizable portion, grilled but needed to be basted with a bit more butter and lemon to keep from getting dry. Hubby had lowcountry steampot. He enjoyed it. For the price it was a good deal, but he was still hungry! 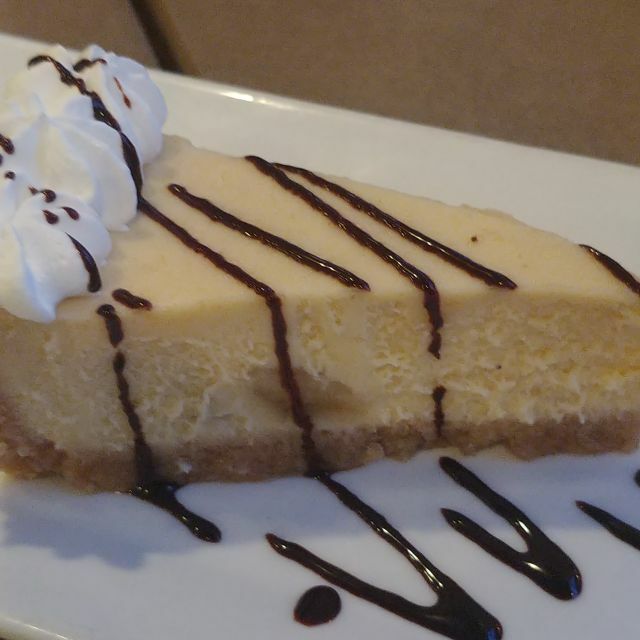 The bananas foster cheesecake is super good! Mike, our waiter, was excellent. Very crowded on a Sat night in March so make sure you have a reservation. We are regular visitors to this famous restaurant. 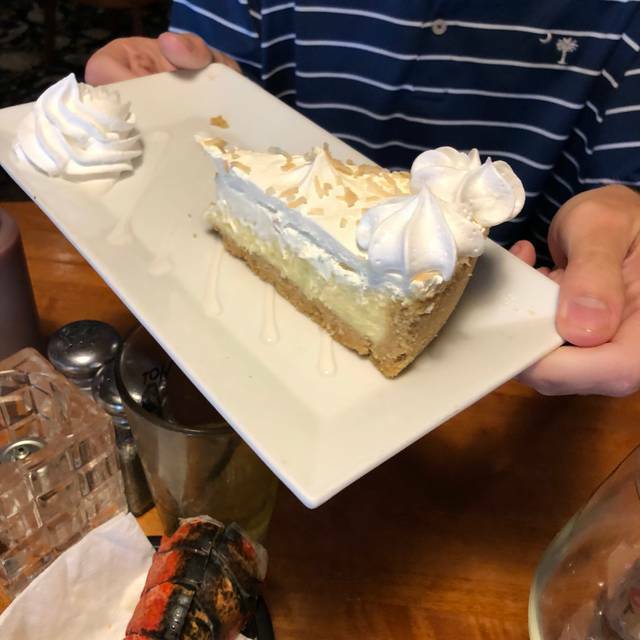 We have always experienced excellent food and service. 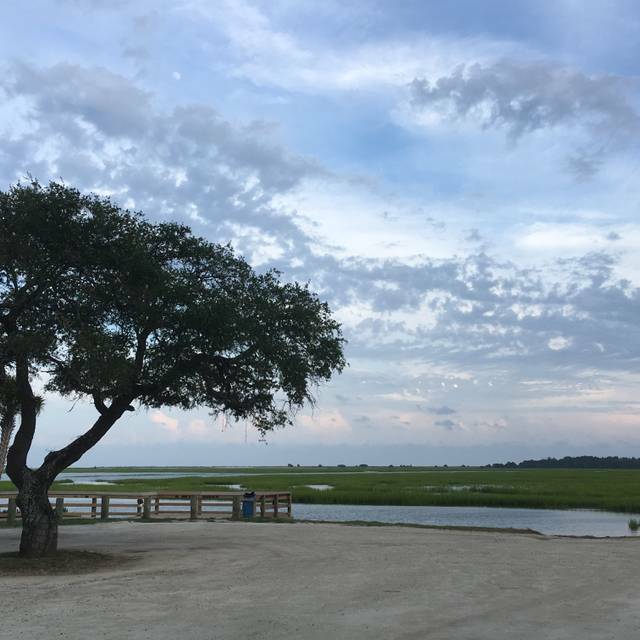 The best value in Murrells Inlet with an early bird and small plate choices. Everything great except for very loud people at next table. It was my birthday celebration. 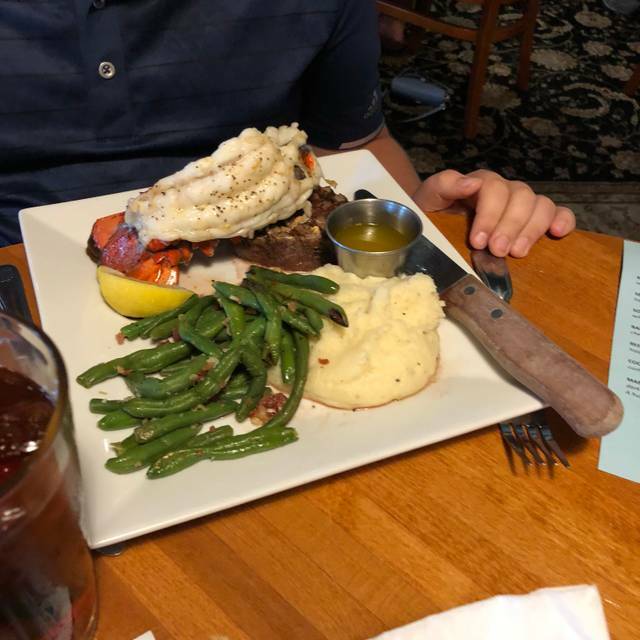 Had the two lobster tails with baked potato and grilled veggies.